Pokemon Duel has received a new update, bringing the title up to version 6.0.0. Some major features have been added. 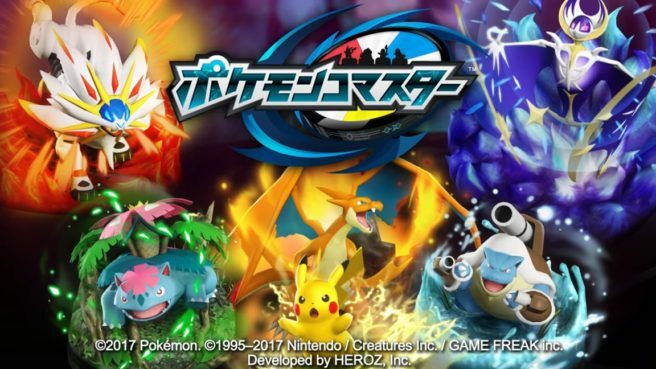 Pokemon Duel is getting a new tournaments event, which will begin soon. Also, with social features, you can keep track of other players’ progress. 1. [UX] Black Kyurem and [UX] White Kyurem are here as changes in form! 2. Social features are here! 3. A new event, tournaments, will be added soon! 4. The Rocket Start Sale is back! 5. Rocket Starter Boosters have been revamped! You are once again able to get them! Aside from the patch notes above, Pokemon Duel has some other new figures as well. These include EX Figures Kyurem and Lurantis, R Figures Cacturne and Tangrowth, and UC Figures Tangela and Fomantis. You’ll also find new Plates in the store.